Finally worked out how to get customMaterials to use castShadows the same way as normal materials. As it's spread over multiple pages of the refraction/distortion thread - it's posted here together. 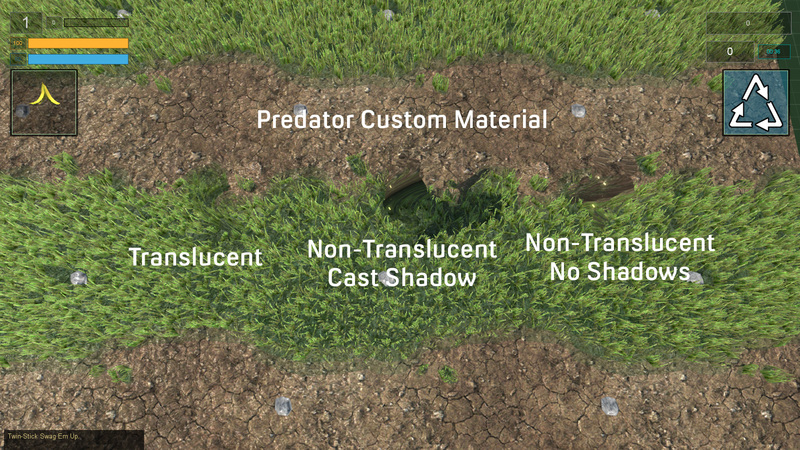 First thing to do is stop customMaterials from ALWAYS casting a shadow. Someone at GG decided to force this regardless. Problem is, that it doesn't matter whether translucent or anything else has filtered shadows out, shadows will be forcibly set on here. // Do instancing in shadows if we can. // give it some default depth out material. // that the material might enable for us. "@brief Determines if the material should recieve lights in Basic Lighting. " After that you can control the shadows in your CustomMaterial. //castShadows = true;//default is true so don't need this.